Sewing for me last year was hit and miss, I didn’t really have a focus, I was gifted a sewing machine for christmas and I was more in the mindset of lets just give this sewing thing a try…..
And I did….and fell completely in love with sewing. Although I have produced barely anything!! But sewing has now become a permanent fixture in my life. However, one of the misses of last year was I became so focused on trying to make awesome, beautiful clothes and bypass the beginner first hate makes and sewing errors I set the expectations for myself WAY too high! After FIVE disastrous makes in a row, I’m finally starting to get into sewing things I’m proud of. Smaller and beginner type projects, that I should have been starting with! that I can build from…..and can now appreciate the mistakes and awful makes I still get and take it as a learning curve and make goals for myself..
For 2015 I’m aiming for one successful, wearable make a month but here are the details. Make Separates – Let’s be real, I’m going for a top and trousers over a dress 90% of the time, especially when it’s cold, and I really want to start sewing a wearable wardrobe. Now I’m focusing on tops and I really want to improve how I insert a sleeve. 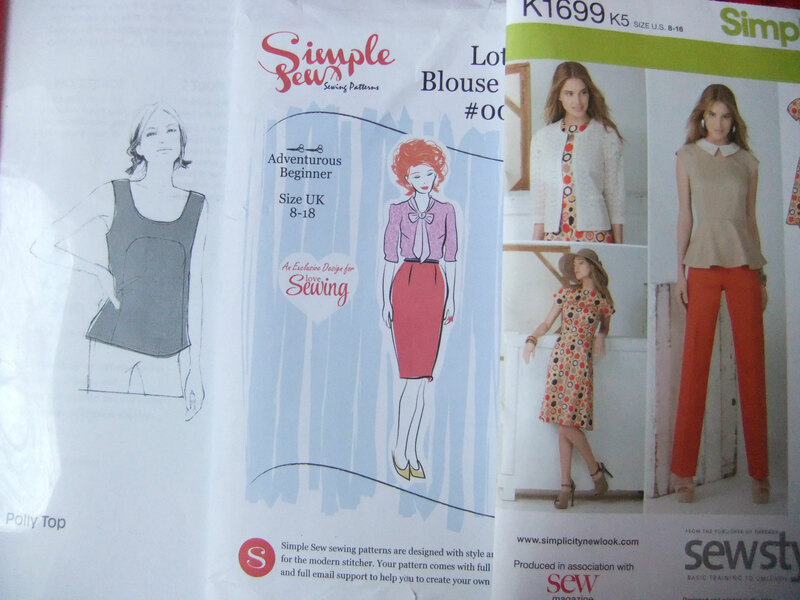 I’ve booked the Ultimate Blouse class at Sew Over It in February and have these patterns I want to get through. Hopefully I will start trousers later in the year but I’m more relaxed about that. Connect with Other Sewers – I started my blog to tap into the sewing community and, in my short time here, it’s been amazing. However, I still fabric shop alone, don’t have people to chat to about sewing, or have people I am in regular contact with who love sewing. I joined meetup and have joined the dressmaking club and I really want to have a group of friends I can hang out with as well as blog lurk on. Use Fancy Fabric stash – Due to my small flat and my expensive taste in fabric 😉 having a massive fabric stash is out the window. However the stuff I do have I’m not using. I Keep envisioning projects I won’t be able to achieve for about a year, like shirts. I bought the fabric now so I should use it now, I need to tell myself there is always going to be beautiful fabric I will want to spend my money on! and to stop putting fabric on a pedestal. My small stash; I just take it out, look at it and dream. Upcycle, Reuse and Go Vintage – I originally got into sewing so I could transform my charity shop buys. I want to go back to that non consumerist, sustainable ideal. 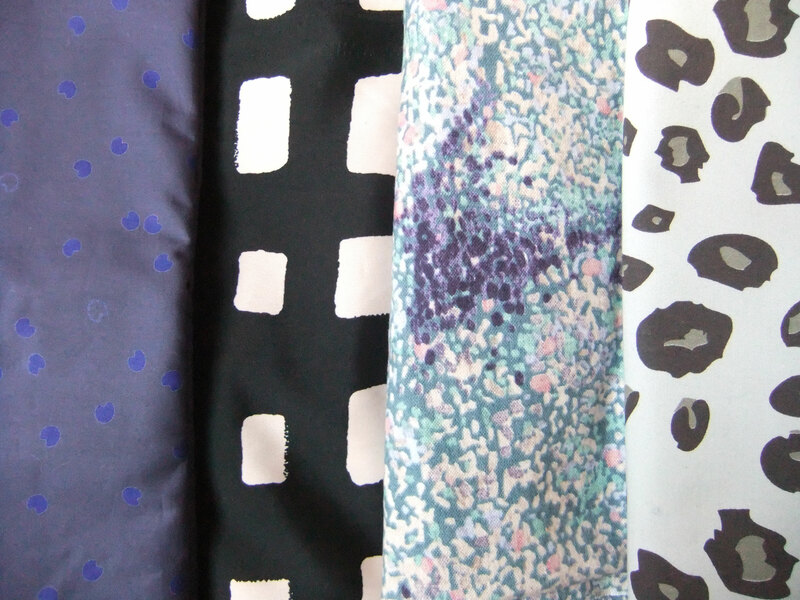 I also wanted to get into sourcing vintage fabric and get away from dubiously sourced stuff. Vintage Pledge – During 2015 I, Megan, will sew up at least 3 vintage sewing patterns. 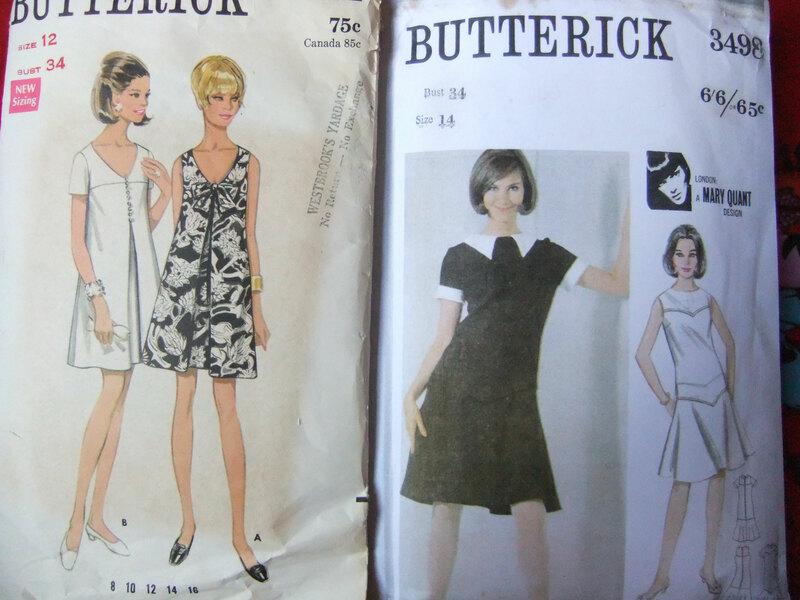 These are the two patterns I will sew up for sure (I’ve already made a toile of the first dress) and I’ve bought a shed load of retro sewing patterns off gumtree. Stop buying so many sewing patterns!! – I’m so influenced by sewing blogs, the patterns that go around the blog circuit call to me, I’m one bad day way from buying the by hand london kim dress as a treat for myself, but I’m going to stay strong. I have enough patterns and I’m not even close to sewing them all. So I’ve set myself a sewing pattern ban. I am only going to buy 3 patterns this year. Unless it’s a charity shop bargain..because I know I will never be able to resist a charity shop bargain. Sew For Other People – One thing that shocked me was how much I enjoyed sewing small projects for other people and I definitely want to keep it up. Before jumping right in with a sewing post I wanted to start with a short Intro. I have a problem….Spending money on clothes only for them to just sit in my wardrobe and never see the light of day. I have another problem….Buying clothes that don’t fit either; because they were on sale or from a charity shop and I couldn’t resist or I was on a diet and they were sizes I would eventually fit into. After periodically doing big clear outs of all the clothes I would never wear or would never fit. It was a strangely emotional goodbye but I was becoming known as being a hoarder and having more clothes then anyone should ever have. Enter sewing. I firstly became enthralled by the idea of sewing to refashion all the clothes I couldn’t say goodbye to or would actually wear if not for some slight fit issues. Then BAM endless hours on the internet showed me the immense sewing community, indie pattern designers and the big pattern designers. I FELL IN LOVE. I want to create rather then endlessly consuming and seeing all these fantastic ladies doing that made me incredibly excited. I am very new to sewing but I have huge aspirations for a perfect, small and well thought out wardrobe of handmade/refashioned clothes. This blog is so I can finally stop lurking on other peoples blogs! and start commenting and enjoy the sewing community. I reaallllly reaaaalllllly want to be part of the club!! !